The term Médoc is used to refer to the entire region of the left bank which stretches up from the city of Bordeaux to the Pointe de Grave at the tip of the peninsular, where the world’s oldest lighthouse, the Phare de Cordouan, dating back to the 16th century, stands guard to the entry to the Gironde estuary. In wine terms, the appellation Médoc refers to the northern most vineyards of the peninsula that starts just above St. Estèphe and reaches up to Bégadan in the north, covering 16 communes in total. In the past, this area was called the Bas Médoc but the rather derogative name did not do justice to the quality of the estates found here, some of which rival those of the Haut-Médoc including Chateau Potensac and Chateau La Tour de By. The Médoc appellation covers 5700 hectares, which represents just over one third of the total Médoc vineyards. The soils are clay and gravel and the grapes are, as for the rest of the Médoc, Cabernet Sauvignon and Merlot with small amounts of Cabernet Franc, Petit Verdot, Malbec and Carmenère. As in the rest of the Médoc, almost exclusively red wine is produced (the rare bottles of white wine have to be labeled with the simple “Bordeaux” appellation.) The wines have a rich, full-bodied character but are wines that can be enjoyed relatively young when their fruit flavours predominate. An attractive Cru Bourgeois made in the north of the Médoc by the talented grandsons of Marc Pages. Bright dark violet colour, fresh, sweet and fruity on the nose with good blackcurrant flavour, firmly structured palate and a fresh, lively finish. Great value. 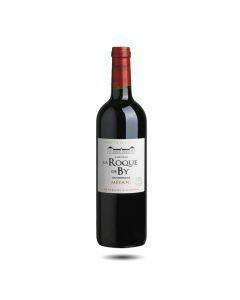 Much appreciated for its freshness and precision this year, this well-known, good value Bordeaux has a dark ruby red colour, an inviting nose of berried fruit with a touch of oak and mint and a round, juicy taste. The tannins are firm but round and there is lingering acidity and a lively finish to this attractive wine. We love this classic, aromatic Médoc made by our young friends, Frédéric Le Clerc and Benjamin Richer de Forges, close to the mouth of the Gironde estuary in Bégadan. 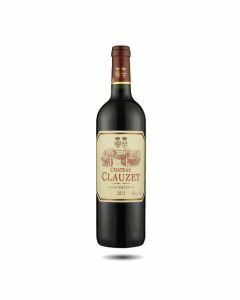 Produced from a blend of 50% Cabernet Sauvignon and 50% Merlot, this wine has a deep ruby colour, good soft fruity flavours with notes of spice and ripe plums. 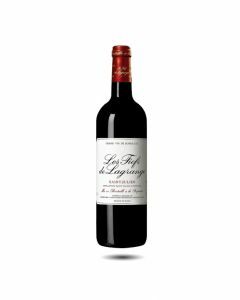 On the palate the wine is silky and attractive with spicy, liquorice and mineral flavours. An excellent match for grilled meats and barbecues. We are big fans of this Médoc which is classic in style and very aromatic. It is made in Bégadan, close to the Gironde estuary, by our young friends Frédéric Le Clerc and Benjamin Richer de Forges. A blend of 50% Cabernet Sauvignon, 50% Merlot, it has a deep ruby colour, a beautiful aromatic complexity of dark cherries, plums and a mineral nose. On the palate this is a soft, pretty inviting wine with a spicy, quite tannic finish. The wine is ready for drinking now and over the next five years and goes well with roasted meats and barbecues.